The TRS Chief is going to be a happy man looking at the recent developments of the Election Commission. The Chief of EC’s latest Press meet confirms the early polls of Telangana for sure. 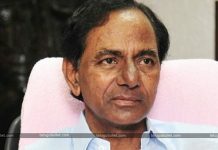 Finally, the plans of KCR have been on the way to bring fruits as the Chief Election Commissioner OP Rawat has almost confirmed the snap polls details to the Press regarding Telangana. In his recent verdict, Rawat declared that the EC is gearing up to conduct polls for the States of Madhya Pradesh, Mizoram, Chhattisgarh, Rajasthan and Telangana in November or December. According to the EC, the team will soon head to the State of Telangana to reassure that the state is ready to have elections with proper voters list, polling booths etc as claimed by the TRS Government. If the team submits its report, then T-state will have parallel elections with the northern states. In case Telangana is not ready, the polls will be postponed only to the month of January but not further at any cost. Previous articleRevanth’s complainant is a rowdy sheeter?